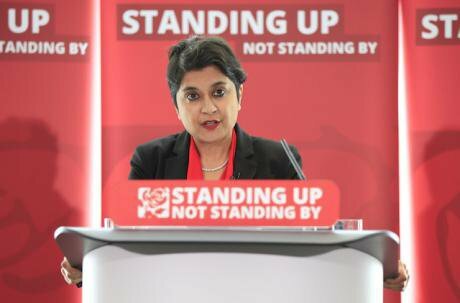 Labour anti-Semitism Inquiry chair Shami Chakrabarti speaks on Labour's anti-Semitism inquiry findings at Savoy Place, London, June, 2016. Jonathan Brady/Press Association. All rights reserved. The definition of antisemitism proposed by the International Holocaust Remembrance Alliance (IHRA) in May 2016 and adopted soon thereafter by the UK government has been widely debated, first in the UK, and then across Europe and North America. The debate has been accompanied by many heated discussions around what does and does not constitute antisemitism, particularly in connection with the definition’s adoption by the Labour Party in September 2018. Yet, in the heat of argument, little has been said about the implications of defining racism for legal and quasi-legal purposes, or about the difficulty of separating the two domains from each other. In August 2018, I published the first extended scholarly critique of the IHRA definition: “Legal Form and Legal Legitimacy: The IHRA Definition of Antisemitism as a Case Study in Censored Speech.” Because the article addressed a gap in the public debate, it received a great deal of attention from the leftist groups concerned about the negative effect that the definition was having on free speech as well as Palestinian advocacy. I was interviewed about the article in the Morning Star. An abbreviated version of the argument appeared in Prospect, and summaries were produced by Jewish Voice for Labour and for the newsletter of the British Committee for the Universities of Palestine. These engagements further revealed to me just how much remains unresolved in the adjudication and application of the definition, notwithstanding the media’s tendency to simplify the issues at stake. Even though the debate around antisemitism within Labour seems to have subsided for the time being, the problem of antisemitism persists, within our society and globally. The recent antisemitic massacre at the Tree of Life synagogue in Pittsburgh offers horrific proof of the ongoing persistence of this prejudice in its most pernicious forms. Many of us would like to think that antisemitism is on the wane, but the evidence suggests the contrary. The evidence further suggests that antisemitism does not occur in isolation from other racisms. Robert Bowers, the perpetrator of the recent massacre, hated Jewish organisations like the Hebrew Immigrant Aid Society because they were dedicated to helping immigrants and refugees. Robert Bowers, the perpetrator of the recent massacre, hated Jewish organisations like the Hebrew Immigrant Aid Society because they were dedicated to helping immigrants and refugees. Such incidents reveal that antisemitism can only be effectively opposed through an approach that brings together the fight against all kinds of racism, including anti-immigrant prejudice. In the interests of taking preliminary steps in this direction, I offer here a summary of “Legal Form and Legal Legitimacy,” followed by further reflection on how scholars and activists can most effectively conceptualise antisemitism in our efforts to fight racism while opposing efforts to censor controversial speech. “Legal Form and Legal Legitimacy” builds on recent work on legal indeterminacy by the Critical Legal Studies (CLS) movement, spearheaded by figures such as Duncan Kennedy. My concern in this case is not the indeterminacy within the law itself, but within the law’s relationship to the world it regulates. Recent applications of the IHRA definition illustrate this indeterminacy in amplitude. The indeterminacy that structures the implementation of the IHRA definition within the UK (and, following the US appointment of Kenneth Marcus to the position of Assistant Secretary of Education for Civil Rights) traverses the legal and the non-legal, the semi-legal, and the quasi-legal. It is made manifest in the applications of this text and its examples, that propose to define antisemitism anew, and which have been cited in contexts as wide-ranging as university events, media self-censorship, and political parties' codes of conduct. These applications illustrate how non-legal rules and regulations can have legal implications even when they lack the legitimacy that is conferred by parliamentary oversight and other forms of due process. “Legal Form and Legal Legitimacy” documents in detail the meaning of the IHRA document’s self-description as “legally non-binding,” the history of its application, and the legal dynamics bearing on its deployment in university contexts. These dimensions are made all the more contentious by its imprecise content and the significant ambiguity around its legal status. On the basis of the many ways in which the IHRA definition has been used to censor speech, particularly on university campuses, I show that the definition's proponents have not paid enough attention to the harms of censoring Israel-critical speech. I show that the definition's proponents have not paid enough attention to the harms of censoring Israel-critical speech. I describe the IHRA definition as a quasi-law. By mimicking normative dimensions of legality, quasi-laws empower special interest groups to act as proxies for the state. These groups then pursue their agendas through threats of legal prosecution, borrowing from the coercive force of the law, even when the text on which they base their claims lacks democratic legitimacy. They target expressive content for censorship, while lacking a legal mandate. Although there are doubtless occasions in which the cumulative force of a quasi-law can have a positive ethical impact by highlighting certain forms of discourse as offensive, racist, or otherwise unethical, the case studies discussed in the article illustrate how recent applications of the IHRA document endanger our collective civil liberties. While “Legal Form and Legal Legitimacy” endeavours to offer a nuanced treatment of the philosophical, ethical, and legal dimensions of the new regulatory regime that attends criticism of Israel within the UK and the United States, my analysis overall argues for abandoning superfluous regimes of speech regulation – not only those which censor antisemitic or Israel-critical speech, but also those that target all forms of racism. I arrive at this view following evidence of an intrinsic propensity for civil liberties violations within all hate speech bans, including the IHRA definition. I arrive at this view following evidence of an intrinsic propensity for civil liberties violations within all hate speech bans, including the IHRA definition. The IHRA document offers a case study in the coercive effects of a quasi-legal norm. Whatever the intentions of its promoters and adopters, and partly due to the intrinsic imprecision of its content, this document has negatively impacted civil society. It has been particularly damaging to freedom of inquiry in university contexts. While my article describes specific violations of due process as well as questioning the substantive claims implicit in the IHRA’s examples of what constitutes antisemitism, my critique of this new antisemitism definition runs deeper. I am concerned with the dangers of formalizing quasi-legality itself, particularly in the context of efforts to counter racism. The examples I discuss of censorship on university campuses highlight major issues attending the regulation of speech within liberal states. In line with my scepticism regarding the uses of hate speech bans in general, I contend that the IHRA document cannot effectively combat antisemitism in the public sphere. Somewhat in contrast to commentators who have persuasively contested the definition’s content, my argument against the definition's deployment is based on its ambiguous legal status, as well as on the indeterminate applications that arise from confusions regarding its legal status. My analysis overall argues for abandoning superfluous speech regulation regimes – and not only those which censor antisemitic or Israel-critical speech. Much of the debate around the working definition has assumed that it is both possible and necessary to define antisemitism definitively for all times and places. Deviation from a perceived consensus has been a dominant theme on all sides. Like legal positivists, proponents of the working definition assume the verifiability of antisemitism allegations with the same vigour that their opponents refute these implications. Whether they support or seek to refute it, most of those engaged in the debate treat the proposed working definition as a rule in the sense described by legal philosopher H.L.A. Hart, while obviating the need to root the rule of what antisemitism is taken to be in broader principles so as to enable structural critique. The overwhelming focus on rules in the debate around the IHRA definition has politicised and polarised the contemporary debate around antisemitism and furthered its conflation with Israel-critical speech. Given the widely accepted view of the need for a definition alongside the absence of principled discussion, it is worth considering what a principled (rather than rule-based) definition of antisemitism might look like in light of the alternatives that have been proposed. It is worth considering what a principled definition of antisemitism might look like in light of the alternatives that have been proposed. A letter published in The Guardian in the summer of 2018 (during the height of the controversy around antisemitism in the Labour Party), signed by the renowned human rights silk Geoffrey Bindman QC and a range of other prominent Jewish intellectuals, offers a promising alternative to more politicized definitions. Although – even after its further endorsement – this alternative definition did not circulate as widely as did the IHRA text during the tumultuous summer of 2018, the text of the letter signed by Jewish intellectuals is superior to the more controversial working definition on multiple grounds. The aspects relevant to the rule of law that make it a better definition include 1) the relation it inscribes between specificity and generality in the adjudication of context; 2) the hermeneutical limits it places on the scope of its interpretation; and 3) the procedural limitations it places on the scope of its application. In future work, I will show how these aspects of the alternative definition offer a surer path for combating antisemitism than does the IHRA definition. Since the appeareance of "Legal Form and Legal Legitimacy," I have received helpful critiques from legal scholars (in particular from Riz Mokal) who have suggested that my account of legal indeterminacy in connection with the IHRA may have given too much credence to CLS, given the critiques that have been waged against the CLS approach to indeterminacy in the decades since they were first formulated in the 1970s. It has been suggested that I take on board the approach of the legal theorist Ronald Dworkin, who famously sought to reconcile legality and morality in his account of adjudication. At stake in the debate between Dworkin and CLS is the question, not only of how we define racism, but of whether racism can be defined in a determinate fashion, and the legal and moral consequences of adopting such definitions. If we determine that racism can be defined, not just in the abstract for all possible groups but also for specific vulnerable communities, such as Jews, Muslims, and people of colour, the issue of how to most effectively implement such definitions without endangering the minority voices within those minorities still remains unresolved. Serious conversation around the complex politics of defining racism issues has hardly begun. As the increasing number of free speech violations, frequently linked to the often-inflated rhetoric around hate speech demonstrates, we have not yet learned how to protect vulnerable minorities while also protecting controversial speech. A detailed critique of the abusive implementation of texts such as the IHRA definition can offer a useful starting point, but it would be premature to reach any conclusions. The point most worth making at this stage is simply that we should proceed with caution. Every time our governments, our universities, and our employers censor an Israel-critical statements or ban forms of expression that some members of a minority group find offensive but which other members of that same group do not, we come that much closer to undermining the democratic foundations of the society within which we live, and thereby of compromising the terms of our political coexistence. In connection with massacres such as the one that occurred at the Tree of Life Synagogue, it has been suggested that the suspension of free speech to protect vulnerable minorities is justified. No one who cares seriously about fighting racism would dismiss this argument without first giving it careful consideration. Before determining whether or not the suspension is justified or helpful to the fight against racism, we would need to show how censorship reduces prejudice or how the banning of certain modes of expression protects Jews from harm. When the state censors without considering the effects of such censorship on freedom of speech, then it harms the very groups it seeks to protect. It generates divisions within communities (around, for example, the definition of antisemitism) and further entrenches unequal distributions of power, while limiting democratic representation. Nuanced analysis… has been sacrificed to political rhetoric that considers only short-term gains. In connection with recent discussions of the IHRA definition within the UK, the nuanced analysis that is urgently needed if we are to tackle these problems has been sacrificed to political rhetoric that considers only short-term gains while neglecting long term effects and suppressing dissident voices within and outside the community targeted for protection. I will end by noting the circumstances of my own entanglement with this issue. In the Spring of 2017, an article that I wrote in 2011 became the subject of controversy when an organisation that promotes the IHRA definition organised a campaign against me, and advocated (unsuccessfully) for my dismissal from my university. As I conferred with scholars of antisemitism in an effort to better understand what was happening, it became evident to me just how much was being lost in the heat of debate and the pressure from multiple sides for various organisations, universities, and political parties to adopt the definition. During the course of my travails, I have had the good fortune to work closely with the definition’s original author, Ken Stern. I am eternally grateful to Stern for his support and solidarity with me amid the campaign to suppress my freedom of expression and to coerce my conscience into retracting the Israel-critical statements I made in the past, and which I stand by today. During the course of my travails, I have had the good fortune to work closely with the definition’s original author, Ken Stern. Stern’s solidarity with me was based not on agreement around the issue of Israel/Palestine – this was a matter we never discussed, though it was obvious that we occupy opposite sides of the debate – but on mutual respect for freedom of speech, and for its role in a democratic society, and for the importance of academic freedom to the functioning of any university. I was also struck by the fact that the very groups that were campaigning most aggressively for the adoption of the IHRA definition within the UK refused to consider the wise cautions issued by Stern, the antisemitism expert who years ago had furnished them with the very text that they were uncritically promoting. The IHRA document stipulates that allegations of antisemitism should be evaluated ‘taking into account the overall context.’ Yet my 2011 article, written while working in an apartheid state and living in the West Bank, witnessing daily discrimination against my Palestinian neighbors, and recognising my own complicity in this discriminatory regime, first and foremost as a US citizen and taxpayer, and secondarily as a recipient of an Israeli fellowship, was radically decontextualized by the British media in 2017. In my critique of the occupation, I drew on discourses that were being heatedly discussed within the Israeli society that I inhabited. It was a text full of anger towards the world I inhabited every day, anger at my complicity in its injustices. When I write about Palestine today within the UK, it is for a predominantly Anglophone audience. Discourses internal to Israeli civil society have less relevance. The erasure of the Palestinian – as well as Israeli – context from the controversy around my 2011 article continues to disturb me. To the extent that I remain silent concerning the dangers posed by the adoption of the IHRA definition, I am complicit in this silencing. The controversy that I came to know first-hand inhte spring of 2017 raises the question of what is the appropriate context for evaluating any text? Do we prioritise the world in which it is written or in which it is read? When we do the latter, we risk silencing Palestinian and Israeli perspectives, and we alienate ourselves from the very context that most urgently needs to be addressed. This incident further reveals how the polarised discourse around Israel/Palestine today, particularly in the US and the UK, guarantees that no application of the IHRA document can avoid extreme politicization. A principled, rather than a rule-based approach, is a more effective means of tackling this issue. We are better off relying on principles, of the sort developed by Dworkin for shaping and guiding our political lives, rather than allowing ourselves to be bound and shackled by legal positivism’s rules.